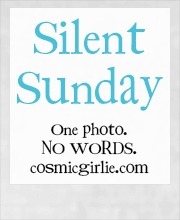 What a lovely photo! All your kids and pets bonding together – beautiful! Lovely photo, looks like your kids are besotted with their pets. How sweet! They are playing with them so nicely. Ah so sweet lined up on the stairs there to play, they look like they are being really gentle too! What a lovely pictures with all kids still. This is just too cute. Look at them all lined up. Lovely. Everyone hangs out on the stairs in my home too. I love that the guinea pigs have joined in with the gathering too. 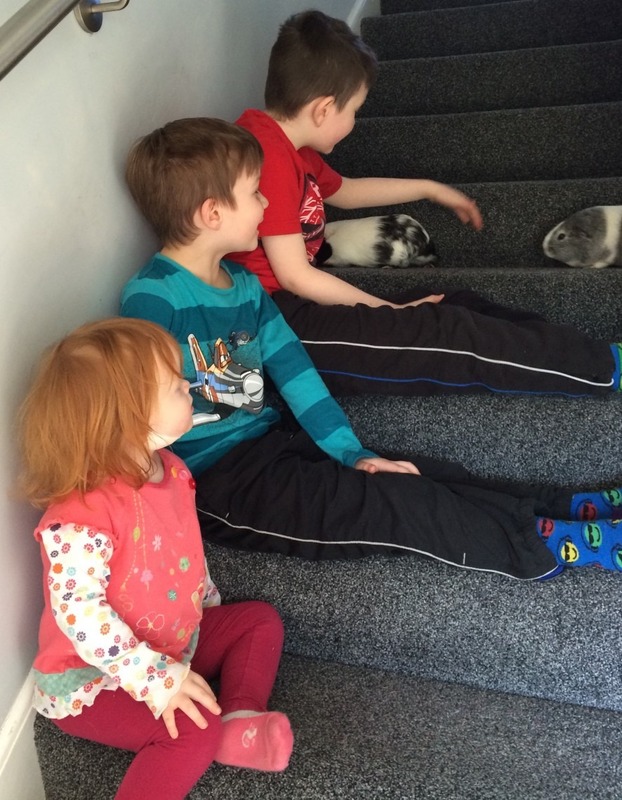 Lovely photo of the Little Ones all together with their Guinea Pigs. 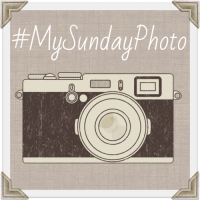 My recent post #MySundayPhoto – Happy Chappy! lol thats so funny .. are you guinea pigs new pets? or well loved ones? 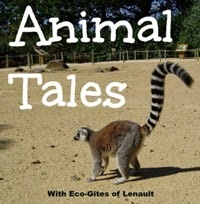 Thank you so much for joining in with #AnimalTales – now I want to know more about the littlest members of your family!